Arjun Kapoor Offer Bodygrooming Tips For Men. 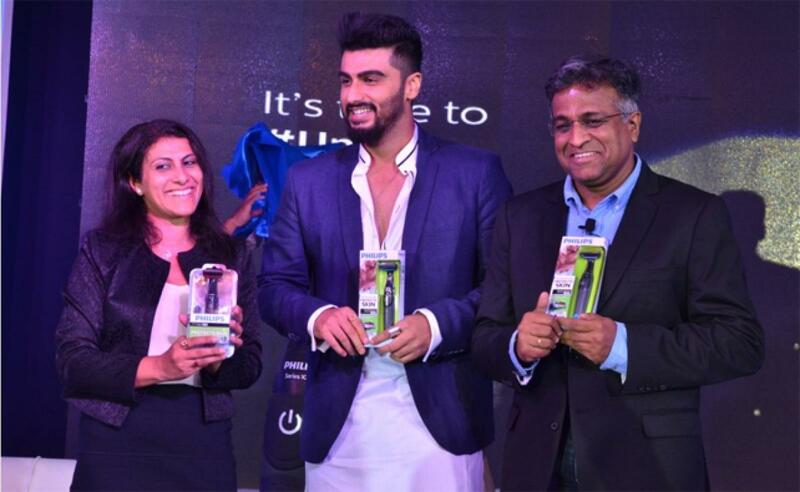 Bollywood actor Arjun Kapoor, who came to promote Philips Bodygroom series 1000 -- a range designed to groom the full body -- by the electronics giant at a glitzy event here, says hair removal is necessary for pure hygiene. New Delhi: Bollywood actor Arjun Kapoor, who came to promote Philips Bodygroom series 1000 -- a range designed to groom the full body -- by the electronics giant at a glitzy event here, says hair removal is necessary for pure hygiene. The "2 States" actor, who already endorses Philips's men range since 2014, says: "Hair removal is needed for pure hygiene and personal care. The idea is to take care of yourself for others. The idea is to be comfortable when your working long hours and make sure that others around you are comfortable also." According to ADA Ratnam, president, personal health, Philips India, the latest product addresses many hygiene related problems of men. "This (Philips Bodygroom series 1000) addresses and this goes to those parts where normally a trimmer doesn't go. We have done a lot of research and lot of innovation on Indian skin at this point of time to ensure we don't take a chance on this," Ratnam told IANS. The Philips Bodygrooming series 1000, which is priced between Rs.1,200 and Rs.1,500, comes with a bi-directional trimmer which provides as close a trim as 0.5 mm. It also comes with a skin protector for sensitive areas.